One of the most well known places in the world, Ha Long Bay is made up of nearly 2,000 islets within 1,500 square kilometers, this UNESCO World Heritage Site is just a few hours drive from Hanoi. The islets, a product of 20 million years of formation (the limestone itself, 500 million years in the making) from the wet, tropical climate. In Vietnamese, Ha Long means descending dragon, perhaps from a recent flight from Hanoi; it's meaning, ascending dragon. While there are various local legends describing how the bay came to be, its history is legend enough, as people have lived here dating back to 16,000 BC. 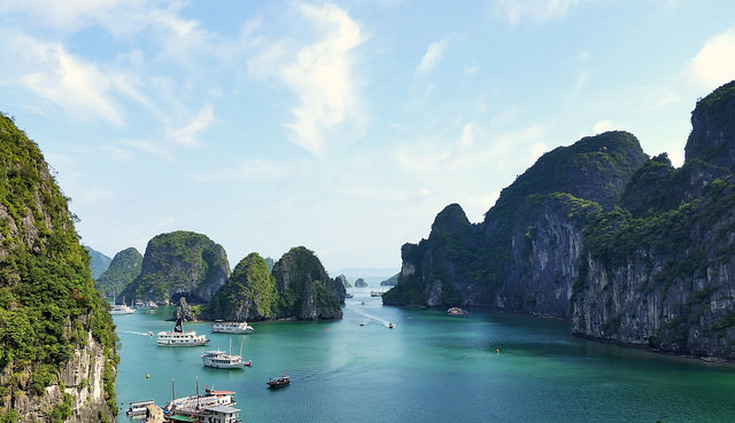 Read more about Ha Long Bay in our blog.